Wednesday 6th March 2019: KP Snacks is launching a nationwide recycling scheme for nuts, popcorn, crisps and pretzels packets. Working with recyclers, TerraCycle, the scheme will give people the chance to set up collection points around the UK. The scheme is simple and free to use; all brands of nuts, popcorn, crisps and pretzels packaging will be accepted and the recycled material will ultimately be turned into new plastic items such as outdoor furniture. Visit www.terracycle.co.uk/kpsnacks to sign up to the KP Snacks Nuts, Popcorn, Crisps and Pretzels Packet Recycling Programme and register your collection point. Once registered, KP Snacks will send you a collection bin. Collect empty nuts, popcorn, crisps or pretzels packets and put them in the collection bin. When ready to send in the collected packets, the collection point administrator can download a free shipping label from www.terracycle.co.uk. The packets can then be sent to TerraCycle who will clean and shred them ready to be made into small plastic pellets, which will be used to make everyday items such as outdoor furniture, plastic lumber, waste bins or storage boxes. People are encouraged to collect as many packs as they can in one go and then send in larger batches. To incentivise these larger more sustainable shipments, the scheme offers charity points for shipments over 2 kg in weight (approx. 600 packets). 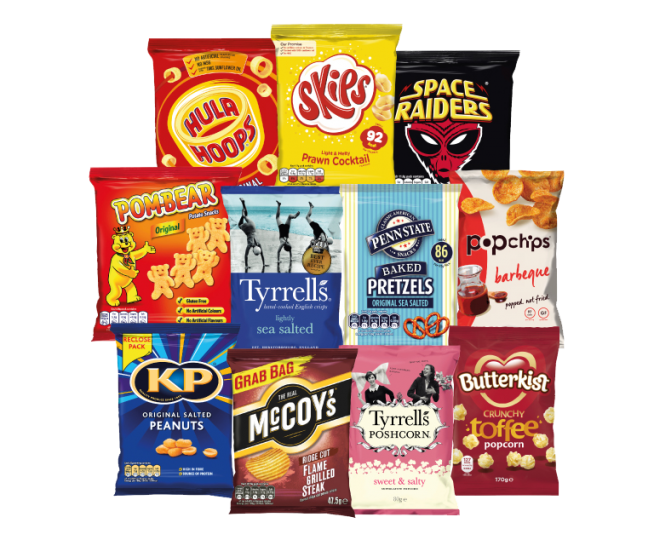 Mark Thorpe, KP Snacks CEO, says: “I’m delighted to launch this new recycling scheme with TerraCycle, which for the first time will allow not only crisp packets, but also nuts, popcorn and pretzels packets to be recycled. This initiative is just one part of our pacKPromise; a three-stage plan to reduce our packaging impact.